Every party should come with ice cream, but be careful not to spill it. This fun action card will want to keep you trying to spill those scoops off the top. Watch them wobble back and forth as you slightly touch them and make them wiggle. Start by using a piece of wire approximately 2 ½” in length and wrap it around a pen, pencil or anything you have. Different diameters of items will give you different diameters of coils. Here I’m using my stylus to wrap the wire around. Leave a small amount of wire at the beginning and end uncoiled so that it can be attached to the rest of the card. 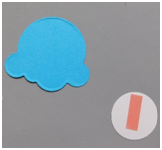 Now, punch 2 circles from cardstock using a circle punch. Lay one aside. Attach the coiled wire to the back of one of the circles using a piece of tape. I like to use double sided tape and not remove the cover from the one side because it will hold the piece securely. Die cut 2 ice cream scoops using a die cut machine and die. Attach it to the second punched circle using the double sided tape. This is what you will have at this point. Repeat the above steps to create one (or more) scoops. 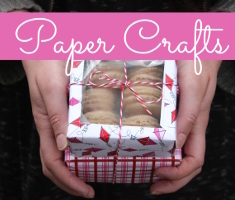 Create a 4” x 6” card base from cardstock and add a 3 ½” x 5 ½” piece of patterned paper. Shown is the Summer Dreams by Echo Park collection. Die cut the ice cream cone. Optional: Add some interest to the cone by using your scoring board to add the waffle pattern to it. Attach it to the card base using a tape runner. 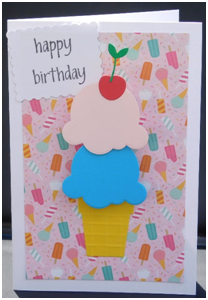 Place a strip of double sided tape on the back of each ice cream scoop and stack them above the cone on the card base. Each scoop should be placed slightly above one another, but overlap on the bottom of the piece before. 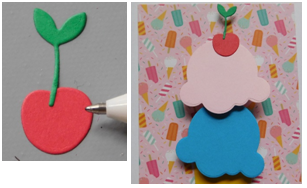 Finish by adding the stem to the cherry using a glue pen and attaching to the first scoop of ice cream. Use your favorite die cut and stamp to add the sentiment and add it to the card to complete it. 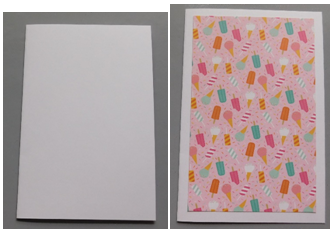 Create this card and have fun making those scoops of ice cream wobble. Bring the laughs to any occasion or theme by using this technique to make any of the items on your card give a little shake. It’s not just for ice cream! This entry was posted in Birthdays, Cardmaking, Crafts, Paper Crafts, Summer and tagged Craft Techniques, Die Cutting, Paper Punching on June 11, 2017 by Peg. 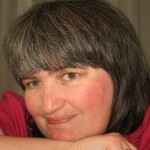 Peg Rounds lives in East Moline, Illinois with her husband and best friend, Kevin and their son Josh and 2 dogs. 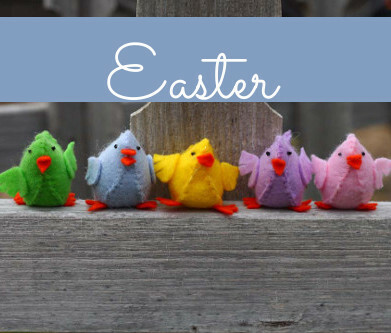 She was an elementary school teacher turned stay at home mom, and later a home school mom. Over the years, she designed cakes on the side and went to school to become a certified chocolatier. She always has loved to craft since she was young and it was something that she wanted to be doing, but set it aside due to her busy life. After 15 years of doing cakes she decided it was time to stop and focus more on her family. She began doing layouts, then cards and it went from there. Before she knew it, next to spending time with her family, she spent every free moment creating something and blogging about it. One thing led to another and here she is today! 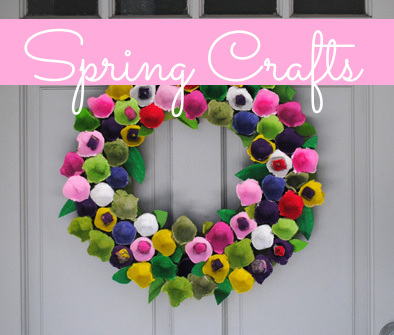 Check out Peg's blog, Peg's Crafting Corner to see what else she has been up to!